I was served these while staying at the Tabor House Inn in Vermont. They were so good I asked the inn’s owner, Jennifer Bright, for the recipe! They make a great bite-sized appetizer. Recipe adapted from the Silver Palate cookbook. For another great stuffed mushroom recipe that can be served as an entree, check out my Stuffed Portobello Mushroom recipe! 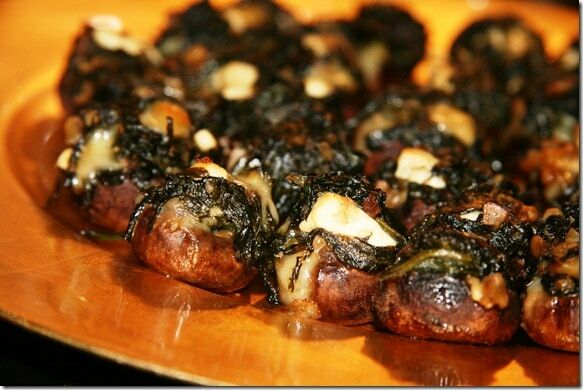 I’ve never made stuffed mushrooms before but always love them when they are served. I think this recipe has convinced me to make them myself. They look and sound amazing! Cant wait to try these . The wife will be surprised. Thanks. 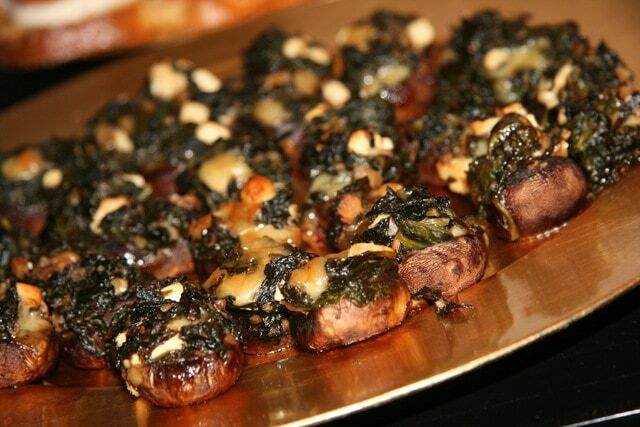 I’m hosting thanksgiving this year and these look great for the appetizer/cocktail hour time before dinner! Thanks!